Good news! 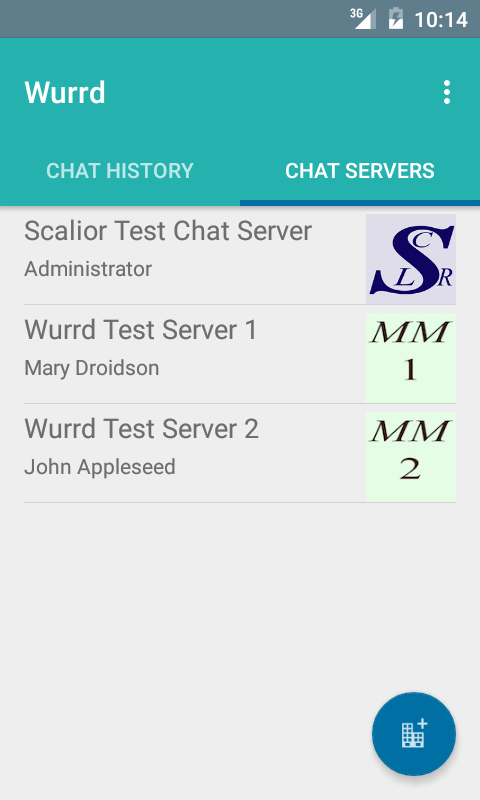 LiveHelperChat users can now use Wurrd on the iOS devices. Visit the App store and give it a try. - The updated Wurrd extension includes an important bug fix for the "session timed out" auto logout issue. Clean the cache by logging in to the admin interface and clicking on "Settings -> System -> Clean cache"
We have put together a little script that tests login/logout as if it was the mobile app. If you are having issue login in on your mobile please visit the URL below to run a basic test. You will need to enter your chat server URL, operator username and password. If the test is unsuccessful, enable the "Use POST" option and try again. *Rest assured, we do not use or save your information*. Wurrd is available on the Android Play store and also on the Apple App store. The operator's availability is based on a schedule and by default, it is 9 AM to 5 PM local time weekdays. If testing outside these windows, adjust your schedule accordingly. As a self-hosted solution everyone's configuration is different. If you experience any issues share them on this forum. LiveHelperChat is a wonderful platform with too many features. This app provides the basic workflow for an operator to help website visitors from mobile. Other features will trickle into the app as time progresses. You can also join us on slack for general discussions to shape the future of the app. Thank you very much! I am using it on production and i must say that it has been rock stable for me. I have php 5.4 can I still use the app? Any workaround? I was going to try it, but encountered a problem at point 8 of installation. Unfortunately there is a requirement on PHP 5.5 and I only realized it late. Is there any chance that you can upgrade your PHP version to 5.5? Some hosting providers allow you to selectively choose which versions of PHP should be used per folder. If this is an option you can choose to use PHP 5.5 only on your livehelperchat installation. If this becomes of prevalent issue I will try to break the dependency on PHP 5.5. *** you can tell us where are you hosting it and I can help you migrate to a newer PHP version. PHP 5.4 is too old and most of web applications don't support it anymore. But, I must say, tawk to is much more reliable and also free of charge. Too bad that you are moving away from LiveHelperChat. One major annoyance we have had with the operator apps on mobile is the aspect of manually managing the availability status. Our approach was to automate this from the app by the use of a schedule. If you could overcome the other issues you were facing over the weekend then you would enjoy the availability schedule from the Wurrd app. I will encourage you to try the app against our demo servers (http://wurrdapp.com/demo) to see if it is worth jumping back to LHC. well, schedule is not best solution for us. We need something that actually logs you off when/if an operator forgets to switch off OR is away for a while. Thank you anyway for the commitment, I appreciate. I am primarily a merchant who happens to be a coder so I do relate to your frustration with auto logout. Mobile is a little different from desktop. With mobile, it is assumed that provided your device is on, it is hoisted on your belt or in your pocket. When a visitor starts chatting on the website, you will be notified on your mobile and you can start chatting with them. Our system is set up such that if your mobile is off or you are in a tunnel without internet connection, you will be reported as OFFLINE. I believe this is the feature you are referring to as autologoff. Now, if your device is at your desk while you are in the break room, you will still be noted as available even though your device is not physically present with you. As I said before, the assumption for mobile is that your device will be following you wherever you go. We try to minimize this problem by repeating a notification for up to 5 minutes such when you come back from the break room your device will be buzzing to tell you that someone is on. I have no interest in whether you choose one platform or another. I'm simply sharing my experience. Friend thank you very much for your help excellent application; for IOS will be available? No nothing is free! You are giving them your data. Also there is a premium version coming for that chat so the free version will likely have less features. LHC is great! It doesn't have bugs. I am sure you didn't configure it as it should be. We have released an update of the extension that streamlines the installation process - basically use the same steps that you use when installing the main LHC application. I'm glad the app is working for you. The iOS version should be available shortly. We shall keep the forum posted. Thanks a lot for simplifying the installation process. I want remember you (ALL) is possibile to set auto redirect in LHC for when chat is unanswered. I think auto/logout is not a good idea, is better the way with LHC works. You can set in the settings after for example 10 minutes of waiting if no answer user are redirected to the contact form. A new version of the Wurrd extension (1.0.2) has been released. This new version allows the Wurrd app to use your company name and logo instead of the LHC logo. The company name and logo that are exposed to the app are from the widget theme that is set as the default theme. If no custom widget theme has been created the LHC logo will be used. For those already using Wurrd visit the update section of original post for steps to update the extension (https://forum.livehelperchat.com/viewto … 8662#p8662). Hello scalior, I would like to report a bug or feature request, depends on how you see it. I notice that the app doesn't follow redirects. For example if i write live.domain.com at address, it will be completed as http://live.domain.com. In reality the domain is https://live.domain.com and if you open the http version, you will be redirected to https. The app doesn't follow the redirect. It just returns an error saying that the url redirects to something else. It's not something important but I just thought I would share this to help make the app better. In #2, the expectation would be for the app to automatically redirect requests to the new domain. Currently this will not occur but the app will automatically log out the operator after about one hour. This has been noted and a fix will be made. A workaround is to connect using http:// or https:// as required. Under Settings -> Live Help Configuration -> Chat configuration -> Online Tracking, check "Enable online site visitors tracking"
The screenshot below shows how this works. Copy the file <LHC_install_dir>/extension/wurrd/wurrd/modules/lhwurrd/ClientInterface/settings.ini.php from the currently installed version. 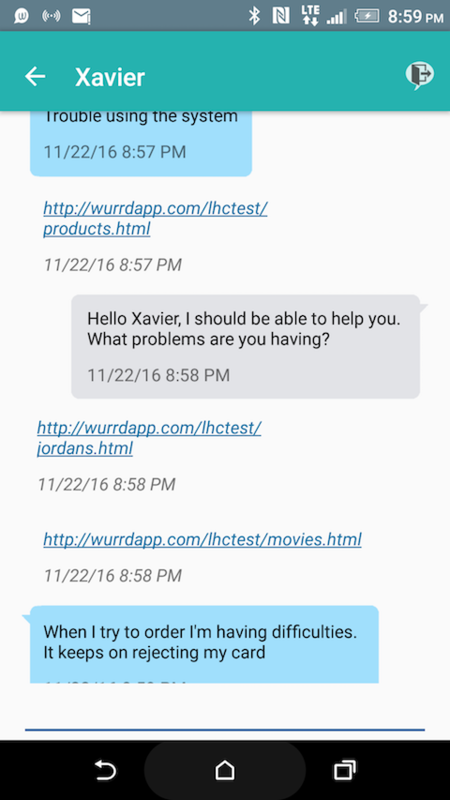 I tried the Wurrd-App with the Demo site and I like it! I tried to install the Wurrd extension. I copied version 1.0.3 and activated it in settings.ini, as described. If I use the .htaccess I get an 404 error. If I delete the .htaccess I get a blank page .